Oh happy day! 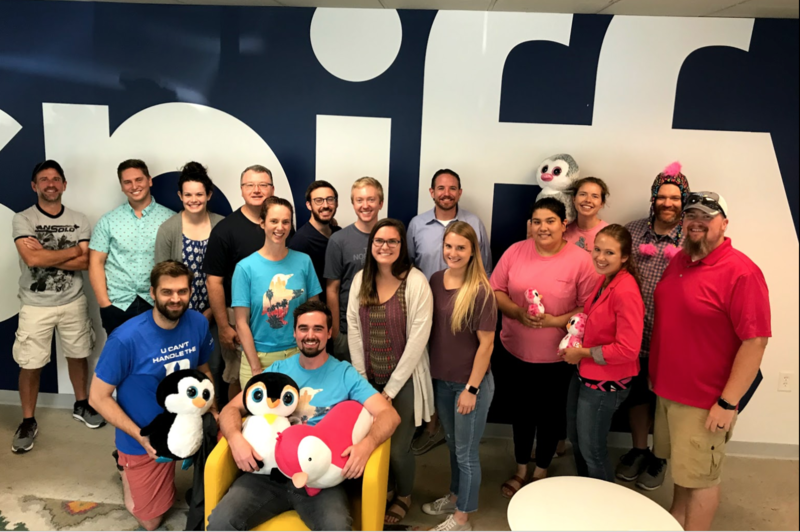 The Triangle Business Journal started announcing the 50 Best Places to Work in the Triangle, and Spiffy was among the first batch of winners. Employees participated in a Quantum Workplace survey covering everything from company leadership and vision to workplace culture and benefits. We are counting on that and can’t wait to celebrate with the other winners at the awards luncheon! Spiffy (www.GetSpiffy.com) is an on-demand technology and services company with the mission to redefine the car care experience everywhere. Anyone can schedule a service in less than two minutes with the Spiffy app. Spiffy currently operates in Raleigh, Charlotte, Atlanta, Los Angeles, and Dallas. Spiffy provides car washing, washes, details, and changes oil using the Spiffy Green environmentally-friendly system that is the eco-friendliest way to care for your vehicle. Spiffy's innovative technology allows clients to schedule, track and pay for services at the time and location of their choosing. The Spiffy Blue on-board diagnostics solution puts Spiffy technology in customers’ hands nationwide. Interested in working with Spiffy? Check out our Careers page. Grayson Leverenz is the Spiffy VP Marketing. As you'll see on our Careers page, she's 10x happier on a Monday morning than most people will ever will be.